Major messaging services like Snapchat, Skype and BlackBerry's BBM are not taking basic steps to ensure privacy, according to Amnesty International. The organization said this failure has serious human rights repercussions since it leaves users, and particularly activists, vulnerable to spying from cybercriminals and government agencies. "If you think instant messaging services are private, you are in for a big surprise," Sherif Elsayed-Ali, the head of Amnesty International's technology and human rights team, said in a news release. "Young people, the most prolific sharers of personal details and photos over apps like Snapchat, are especially at risk," he added. The organization conducted a privacy assessment of the most popular messaging apps in the world. Some of the other apps included in the report are Facebook's messaging service and WhatsApp, Apple's iMessage and Facetime, Google's Allo, Duo and Hangouts, Tencent's QQ and Wechat, and Telegram. Facebook and Apple scored the highest for having the best security. China-based Tencent came in last, with Blackberry and Snapchat also bringing up the rear. Amnesty's main concern with many of the services is that they do not have what's known as end-to-end encryption set as the default. End-to-end encryption is considered secure because only the people communicating with each other can read a message. Encryption scrambles data and therefore blocks anyone who may try to intercept or surreptitiously read a message (unless they peer over a person's shoulder). In some cases, like with BlackBerry, end-to-end encryption is only offered as a paid service. It's available on many, but not all scenarios with Skype (owned by Microsoft) and it's not offered at all on Snapchat or on Tencent's apps. Amnesty says this should be considered a "minimum requirement" and not just a nice add-on for tech companies. More than 100 million people use Snapchat every day, and two billion people use Facebook Messenger and WhatsApp. The companies were also ranked on how transparent they are when it comes to communicating their security policies to users. While some companies say they take security seriously, their actions say otherwise. "Although it has a strong policy commitment towards privacy, in practice [Snapchat] does not do enough to protect its users' privacy," said Amnesty International. Facebook scored highest because WhatsApp deploys end-to-end encryption as a default. The company also recently rolled out its new "secret" messages feature which uses end-to-end encryption. But Facebook's Messenger, when not in "secret" mode, does not encrypt messages. Apple also scored well because it provides encryption on iMessage and Facetime. But the Amnesty report said the company needs to do more to ensure its users know that SMS messages are less secure than iMessages, which are between two iMessage users. See how the companies compare with each other in Amnesty International's report below. A previous version of this story said encryption is not available on Skype. 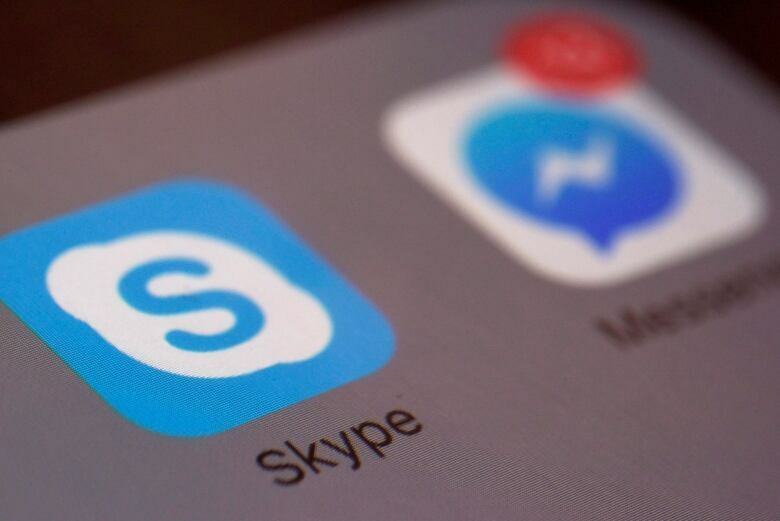 Skype does offer end-to-end encryption on many of its scenarios.